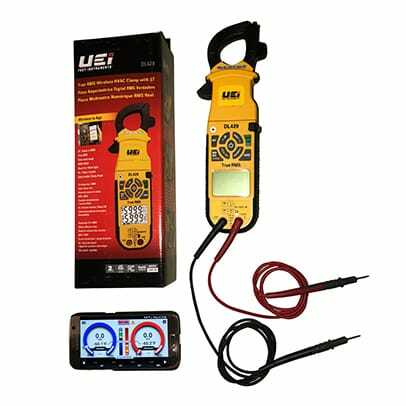 North Park Innovations Group Inc.
UEi DL429BAdvanced TRMS HVAC Clamp Meter with Wireless connection is a new advanced True RMS HVAC clamp meter that AC/DC Voltage and AC Amperage, along with many other parameters, that can wirelessly transmit data to a smartphone or tablet device. The UEi DL429B features a dual display design, built-in worklight, a magnetic mount and is rugged enough to withstand a 6 foot drop. The iManifold® is a revolutionary breakthrough in digital manifold technology and HVAC/R system measurement analysis. 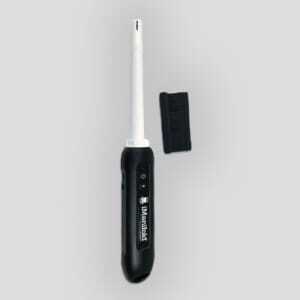 The iManifold gauge set, wireless probes and cloud will save you hours by eliminating the need for manual calculations while presenting the data in an easy to read format on your smart device.